New Rock boot M.9051-S1. 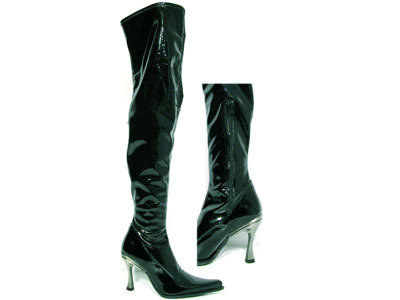 Black (stretch) patent boot with a 3" metal-covered Malicia heel. This model has an ankle zipper for easy on/off access. The regular price of these boots was euro 199.95 Available for immediate delivery is EU size 37.